In addition to bringing our Crafty Wares, we will be holding a Crafty Thinking panel. It will take place Friday at 6pm in panel room 3. If you are thinking of starting your own business, or own one and want to grow your business, this is the panel for you. We will also be streaming it live. If you are not able to attend Too Many Games you can watch it through Hang With. Subscribe to our channel and you will get a notification when we start streaming. Nicole helped me out and flipped the video for the panel we had at Awesome Con and it is finally ready to be watched. The Crafty Thinking Panels are described as: Have questions on starting or growing your own business? Join Craft Hacker members & small business owners for a Q & A session about owning your own business. I always try to have at least 1-2 non crafty people there that own a small business. The panel above featured Nicole, myself, Rachel E Kelly from ColorWorld books, and Liz Reed from Cuddles and Rage. We had a great time and there were some great questions asked and even some new ones. Speaking of panels, there are a few more Crafty Thinking panels coming up at future conventions. Too Many Games in Oaks, Pennsylvania is next weekend. 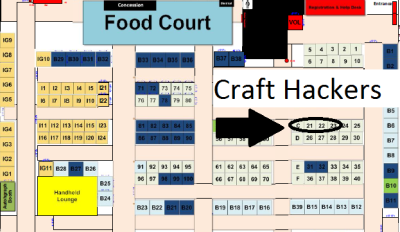 The Crafty Thinking Panel will be Friday night at 6pm in Room 3. Nicole and I will be there and 1-2 more guests still unconfirmed. If you can’t make it to any of our panels but want to watch them I am now streaming live and later posting them to our You Tube account. You can watch any of the previous recorded panels on You Tube at our channel here. Subscribe to the channel to be notified whenever we upload new videos. Today is the start of Wizard World Philadelphia. This is another first time convention for Craft Hackers and we are super excited to be there. 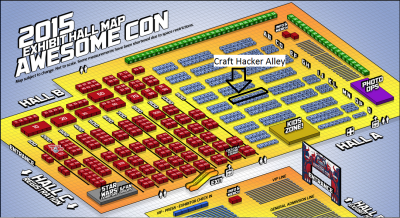 Toni will be the only person there with her quilts and pillows, but you can always swing by and chat about Craft Hackers anytime. 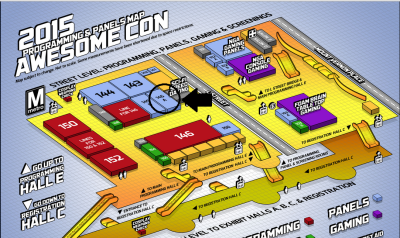 The booth will be located at G45. That is all the way at the back left corner of the artist alley. You know what else is back there and who I will have a direct line of sight too? So look for the David Tennant and Billie Piper signing area and you will find us! 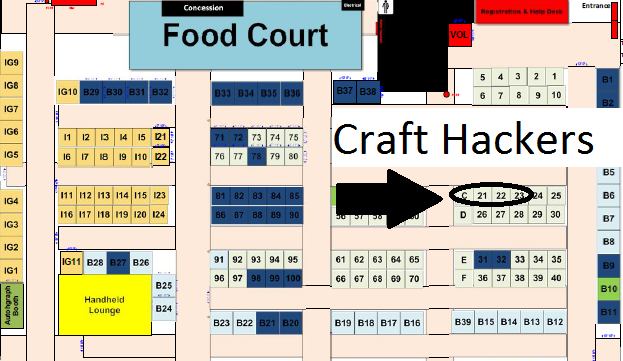 In addition to having a booth there we will also be having a Crafty Thinking panel. Do you own or want to own a business doing what you love? Are you a crafter, artist, or entrepreneur and have questions on how to start or grow a business? Join our panel of small business owners for a Q & A session to answer those questions. If you are planning on going to Wizard World stop by and say hi and make sure you swing by our panel. For those that attended Awesome Con you may have stopped by on Sunday and participated in the Crafty Thinking Panel. For those that didn’t (or those that did and you didn’t take notes) we video taped it and I have finally uploaded it to You Tube. The first half we introduced ourselves, our business, and what our biggest hurdle we find is as a small business owner. I then talked a few minutes about Craft Hackers before we took questions from the audience. The second half we continued the questions from the audience. We covered a LOT of topics including pricing, web presence, conventions, getting started, and yes the dreaded copyright issues. So take a look and if you have any questions at all please feel free to come by the forums and ask away!